Spurred on by an amazing talk about Outkast by African American life and culture researcher Dr. Regina Bradley at Emory’s James Weldon Johnson Institute, I’ve been thinking a lot about the figure of the Cadillac in Southern hip hop music. But nothing here is fully fleshed out just yet. Bradley talked a bit about Outkast’s paradigm-shifting Southernplayalisticadillacmusik (1994) and its vignettes of South-ness, of black Southern culture. My question to her at the end was about the significance of the Cadillac as a distinctively Southern black symbol and material object of success. It represents the Sunday morning church car for a certain demographic as well as the Sunday afternoon-evening recreational car for another demographic. The Cadillac, perhaps more than any other car, has become a symbol of success, but not just any success – the American Dream, an attainable sort of success. Yes, many hip hop songs have featured or referenced vastly more exclusive vehicles (Aston Martin, Lamborghini, and here, Rolls Royce, Bugatti, etc.). But these are featured precisely to convey a sense of exclusivity. These are supposed to be symbols of well-known “one-upmanship” in hip hop, the exact opposite of the attainable. Cadillacs are the middle-class person’s image of success, the everyman’s dream car. Moreover, the Cadillac – unlike the other exotics – is an American brand. Sure, an Escalade is (and especially was in the 90s and 2000s when it was the arguably most popular and most premium luxury SUV on the market) and has always been a rather pricey vehicle. The current 2019 model starts at about $75,000 and can go up exponentially from there. However, it’s a car built by Detroit and represents an attainable aspiration and one that you can drive around town, to the market, to pick the kids up from school, to the business meeting, and so much more without people batting an eye. Try that in a Ferrari. Sure, a Cadillac should turn heads, but it shouldn’t turn up noses. It’s high luxury, but it’s functional and familiar luxury. For older, professionally established black people in the South, a Caddy was the car to get to drive to church on Sunday morning to impress that nosy deaconess. The term is called “flossin’.” For younger black people, especially in a place like Houston, Cadillacs were (and certainly still are) the car to get decked out in candy paint, flipped trunks, and classic vogues in order to drive to the park and compare rides with your buddies on Sunday evening. Though technically from GM in the Midwest, Cadillacs are as Southern as peach cobbler, fried chicken, and collards. They’re big and wafty, indicative of the wide open spaces and long streets in the South that Northerners love to admire/hate. They rattle from the bump of the bass that can be heard from miles away. And with their pilowy seats, they’re incredibly comfortable to ride in – practically a vehicular expression of Southern hospitality. The shiny restored paint and glossy wheels are a visual interpretation of that glorious sweet tea. Cadillacs are the quintessential riding cars, leisure vehicles. My idea is that black people assert a sense of economic agency, resistance to stereotypes that black people and bodies were made to work. Taking time for relaxing, recreation was a sign of black access to new levels of economic success and to capital ownership, and was a challenge to dominant ideas of black laziness. Cruising around in a Cadillac that you presumably own shows that you are enjoying the fruits of your labor. You have done your six days of work and on the seventh day, you can rest. Now, Cadillacs were never the best cars to drive or own. Mercedes-Benz has consistently made better performing and more luxurious cars for the past 30 or so years. And sure, rappers like Master P unforgettably featured a Benz in their videos throughout the 90s. These might be the second most famous hip hop car. But that’s not the point. There is something about a Caddy-lac that does cultural work that the Benz (S-Class and Maybach, in particular) has never been able to do. There is a sense of pride in the Cadillac. A sense of cultural history and connection to Southerness. The title of this post, of course, comes from Rich Boy’s 2006 hit song, “Throw Some D’s,” where he encourages us to “throw some D’s” on the car along with a bunch of other things that he’s selling. He’s proud of the fact that he “just bought a Cadillac” that he can “throw some D’s” on. David Banner sung-rapped (long before Drake) in a pensive “Cadillac on 22s.” You take pride in your Caddy and show that pride by putting some gaudy rims on it. The bigger the better, and the Escalade in particular, provided the right size car to fit the fantasy of big shiny rims. Though people have placed 22 and larger rims on Cadillac sedans, too. It’s really a sight to see. Anyway, what is it about the Cadillac that’s so interesting for hip hop artists in the South. For rappers like Big K.R.I.T. (who I’m a big fan of), the Cadillac serves as a kind of spiritual liaison, a sort of non-speaking Virgilian guide that allows him to travel and converse between himself and the larger “South”, his Southern ancestors, and the broad geographical area of “South”. K.R.I.T. is a Mississippi native, but truly embraces the Cadillac in his music. 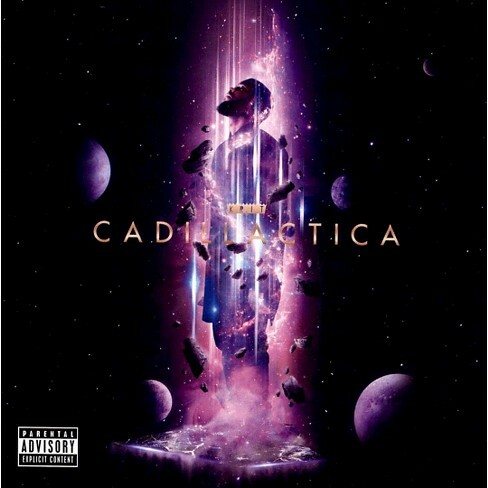 He even has a whole album called Cadillactica (2014), in which the Caddy figures as a sort of desirable Afro-futurist place and also a means to get there. The car comes up again and again in his corpus, and just shows how in tune he is with the history of this symbol and this particular car brand as a sign of Southern black hip hop culture. The Cadillac shows up in other genres too. 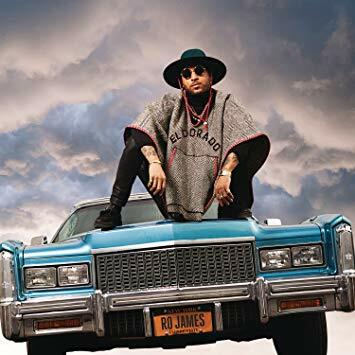 Ro James, an R&B artist clearly channeling hip hop vibes, features a Cadillac prominently on his recent EP Cadillacs (2018) and his acclaimed album, Eldorado (2017), which is named after a type of Cadillac. The 2013 megahit “Royals” by the pop singer Lorde references the idea of “driving Cadillacs in our dreams” as one of many representations of displaying ostentatious wealth. Country music superstar Carrie Underwood, you might remember, personified “Two Black Cadillacs” in 2012. Cadillacs seem to be symbolic of certain “Souths” and perhaps not all locations and micro-cultures. Miami hip hop culture, for example is laden not with Cadillacs, but with fancy bright exotics. Listen to the catalog of Rick Ross songs to find this idea. Move up to the decidedly less urban Tallahassee, where the hip hop crooner T-Pain reigns, and you’ll find him “in a grey Cadillac.” Move even further up, into Atlanta a haven for Outkast, Ludacris, Young Jeezy, T.I., and so many others now under the umbrella of trap music, and the Cadillac reigns supreme. Moving west, New Orleans rappers seem to follow the Miami lead in hyping up exotic cars that represent the complete antithesis of the abject poverty that many of them found themselves and their communities in. Further west, in Houston, rappers like Mike Jones and Slim Thug, Paul Wall can’t stop rapping about his cars and his teeth, but his slow rapping mimics the slow driving phenomenon and follows the legendary lead of such figures as Scarface and DJ Screw. But we can’t forget the small city of Port Arthur, geographically and figuratively located between Houston and the Louisiana border, where the Cadillac found some of its most pronounced celebration in the lyrics of UGK. Anyway, there is much much more to say about this. I’m just rambling here without a clear argument. And I’m sure that there is a lot of scholarship out there about car culture in hip hop that may have already addressed some of this. While I look that up, take some time to enjoy my “Caddy Tracks” playlist where I’ve compiled a preliminary list of songs that feature Cadillacs in some way, or Cadillac-adjacent cars (i.e. “Still Tippin”). Some of them are songs that I’ve mentioned in this post. Hope you enjoy! Where are the Coffee Shops in Black Atlanta?